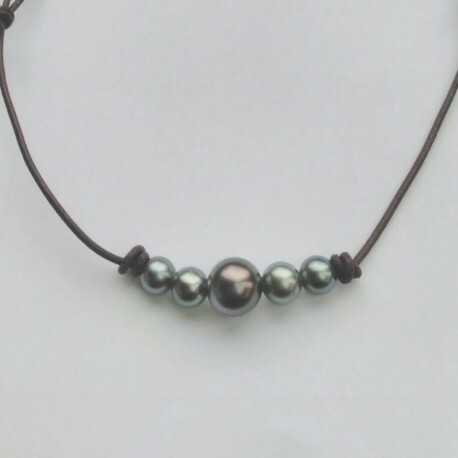 Les Australes leather necklace with five Tahitian pearls. Originally a bespoke piece of jewelry made upon request, we fell in love with this necklace and its proportions and added it to our collection. Two 10mm Tahitian pearls on each side of a central, larger 13mm Tahitian pearl make up this leather necklace. 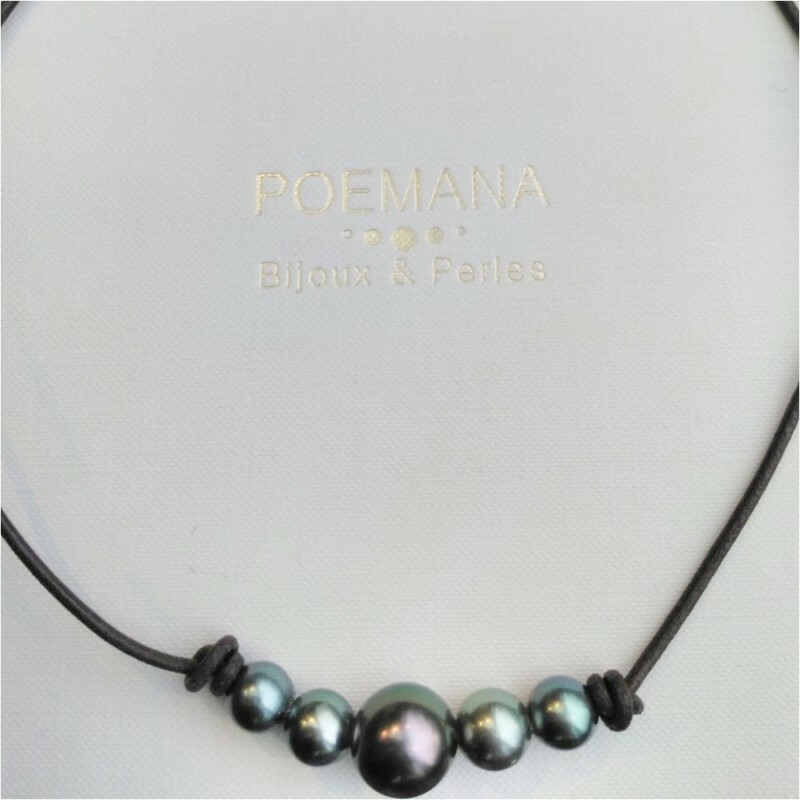 The high quality Belgian waxed leather necklace is resistant, and the knots on each side allows for the ability to fine tune the necklace's length. Due to this piece of jewelry's price and nature, we confirm the choice of pearls with you in order to guarantee satisfaction. By buying this product you can collect up to 138 loyalty points. Your cart will total 138 points that can be converted into a voucher of 39 €.